How to Start Native Milkweed Plants from Stem Cuttings? 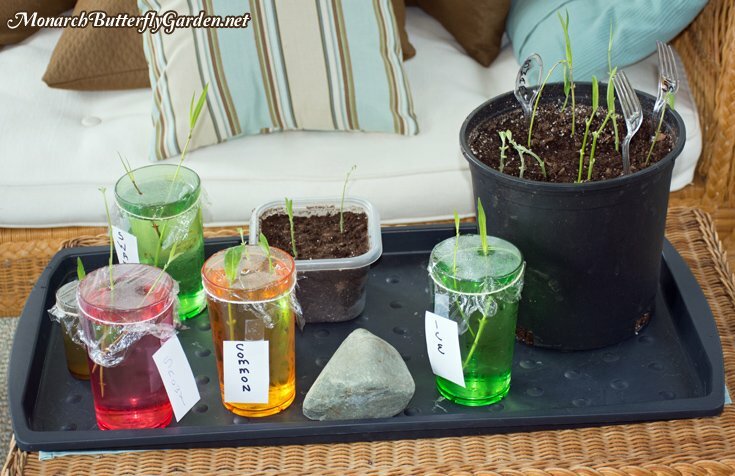 Home » How to Start Native Milkweed Plants from Simple Stem Cuttings? How to Start Native Milkweed Plants from Simple Stem Cuttings? Tuberosa is one of the few varieties that can be propagated in both soil and water. We’ve attempted to root other native milkweeds in water, but the stems have always rotted. 1. Use organic peat or all-purpose potting soil in pots. 1a. An alternative idea is to place cuttings in 2 liter soda bottles to give each cutting optimal growing conditions in their own mini-greenhouse. 3. Insert chopstick/pencil in soil to make holes for placing cuttings. 4. Use a sharp hand pruner to take cuttings. 5. 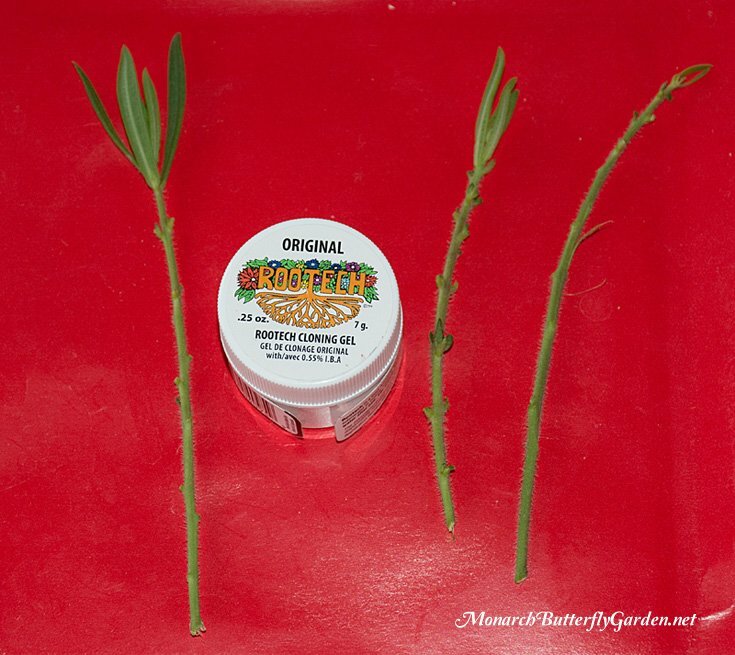 Take a cutting that has between 3-5 leaf nodes (or is about 4″ long). 6. Pinch off all but the top two pairs of leaves from your cuttings so that water doesn’t evaporate through the leaves…transpiration. 7. Scrape the bottom third of the cutting with a sharp knife. 9. Place cuttings in holes and secure soil around them. 10. Keep cuttings in an area that receives light, but minimal direct sunlight. 11. Spray soil and leaves daily. We’re planting our native milkweed cuttings in an 80/20 mix of perlite to peat moss, which is a more traditional mix for starting stem cuttings than starting in soil. Adding sand and/or vermiculite to the mix could also increase your success rate for milkweed cuttings. Alternatively, you could direct planting your cuttings in regular garden soil using rooting hormone powder. We’ve done this successfully with tropical milkweed, but have not tried with other native or non-native varieties. Unfortunately, we have not had much success with native milkweed cuttings. Your best chance for cloning is with Asclepias tuberosa. Asclepias incarnata can be easily divided in spring/fall to multiply your milkweed supply. If you have any questions or tips on taking native milkweed cuttings please comment below. I use a lot of cuttings for my cats. After they have eaten all the leaves off I put the stems in a glass with water. Later, I go back and have roots on the stems. They are ready to plant. Great way to get more Milkweed. Hi Judy, water propagation works well for tropical milkweed. Do you do this for other species? I misread that, too. I think she’s referring to caterpillars. I accidently rooted an accidental broken off a small plant cutting of Butterfly weed (Asclepias tuberosa) in water. It was about 4 inches long and full of small leaves, most of which I left intact as I was using it in a flower arrangement for greens. I’ve now potted it up. I had great luck winter sowing Butterfly weed (Asclepias tuberosa) seed. I have no problem getting milkweeds to grow by seed —it`s getting them to grow tall that’s the problem—-when they get to about 4 to 6 inches tall I start noticing little tiny monarch catipallars all over them and in 1 or 2 days all the plants are eaten. I actually had to drive over to a local park that has a butterfly garden and cut some of the milkweeds to feed my catapillars who ran out of food . Do I have to build something to cover the plants so they can grow tall enough to accommodate all the catapillars ? I live in south GA on the coast. My grandson who is 4 and I have been growing caterpillars since spring, caging a few on plants in gallon pots. He takes them to pre-k so the kids can watch the “hungry” caterpillars grow (we changed out pots of milkweed often) and form chrysalis and then become butterflies. Having enough milkweed was a BIG problem. I must have the tuberosa variety of milkweed because I can root it in water. Our problem stemmed from too many Monarch eggs, too many caterpillars and the not enough to eat. We bought one group of plants that had been sprayed with pesticide so that the aphids were non-existent (look for aphids when buying is my new theory). I now have a lot of milkweed but it is leggy and doesn’t send up more shoots from the base. I noticed that the plants who had several caterpillars are the best -probably because of their droppings. Our Monarchs must like the coast because we have a steady stream of eggs. The only bad thing is our community sprays for mosquitos and that has had a deadly affect on hatching eggs. If I move the plants with eggs to a cage and indoors we seem to do fine. Educating everyone about symbiosis is key. We put up our first bat house and encourage our native birds. I’ve read somewhere to clip the top leaves to create more stalks but have been unsuccessful. Please help. Hi Becky, on mature plants I cut back some of the stalk too…up to a third. The photos show cuttings with a couple of leaves on them, and it states to cut all but two leaves. But say you have a milkweed stalk with no leaves at all, or a really long one, with only two leaves at the top. Can you cut the rest of the stalk into 4″ cuttings (though there won’t be any leaves)? Or does the cutting need leaves? Thank you. Any updates on native milkweed propagation by cuttings? Btw, someone mentioned layering. I saw a crassavica stem that had been knocked over and buried. New plants sprouted from every node. Hi Dave, non-native tropical milkweed is by far the easiest milkweed to propagate. Native milkweed species can be propagated by stem cuttings but need an environment conducive to growing, like in a greenhouse or under a misting system. Our cuttings experiments have been limited to water propagation in cups and with clone buckets, which have not worked for native milkweed. 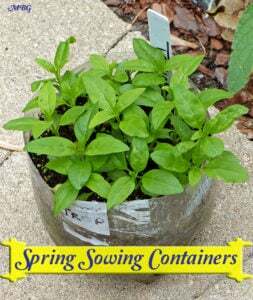 We may try some in our porch this spring, which should provide better cuttings quality and better growing conditions. I am having luck with common wm. I used a growth hormone on all of them. About half are working. I have also transplanted some very young antelope horn sprouts that are doing well. Don’t be too hasty in condemming a dead looking MW transplant. It may restart itself. 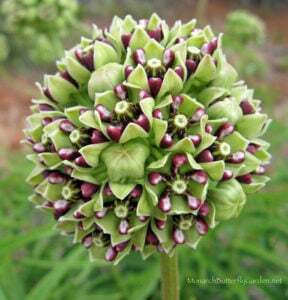 I have the Gomphocarpus Physocarpus, or Balloon plant Milkweed. I absolutely love it. I live in Zone 8 and there is a chance it will make it through the winter here, at least if we do not have an unusually cold one. I started this plant indoors from seed last year. I placed the seeds in a damp paper towel for a few days until they had just started germinating and then planted them. It is probably too late to do a stem cutting now, but does that work for this variety of milkweed? I will look for your results later on in the season. I like the Swan plant, too. I am going to cut some of the stems with the largest pods and out them in water and let the pods finish ripening. I probably have. 200 seeds or more now, but since so few people know about this plant, it os a fun one to share seeds from. 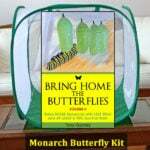 Your website has been the most informative I have found about raising Monarchs and the plants that support them. Hi Teresa, I would let them ripen outdoors…our plants are still outside in Minnesota and just collected some seeds today. good luck! 1. I have tuberosa that is growing from seeds. How tall does it need to be to put in the ground? 2. I cut my tropical down to 6″. Something was eating the each of the leaves to where there wasn’t much of the leaves left. There were very few monarchs coming to my garden. Only found 3-4 caterpillars before the plants were cut. Since then I have not caterpillars. Do you have any idea what I could do. I am at a loss because I have always had really nice MW with many butterflies. Hi Judy, you can plant them at any time, but consider waiting until it cools down in late summer/early fall if you’re experiencing hot summer weather. You might consider a protective fence to stop small critters like rabbits from eating your seedlings. I don’t know where you’re located, but even if I did it’s impossible to give you a definitely answer why monarchs aren’t visiting your garden. My best advice is to improve your garden while you are waiting, so they won’t want to leave when they come back…good luck! What a useful post with steps for taking Native Milkweed cuttings! The steps are short and easy to understand. Thank you. Will tropical work in zone 7? Although there are Monarchs in the area, we live in a 2 acre area back in the woods and although we get other types of butterflies, we get no Monarchs. I have 10 common milkweed plants, had over 100 seed pods this year, but no monarchs. I tried buying eggs or caterpillars from several sites but nobody had any. Can you tell me an easy way to find the answer that you give to a question we pose? I wrote to you about a week ago and don’t know where to find the answer you gave or are going to give to my question. Help! I start cuttings using a powder rooting hormone>>>”Green Light Rooting Hormone”__Home Depot , gardening stores. 1. With a knife scrape a several inch area at the bottom area of the stem. 2. Dip this area in water. 3. Then dip stem in the powder root Hormone, shake off excess power. 5. Insert cutting into prepared soil and firm wit your fingers. Keep cuttings in a light shady area. With a plastic spray bottle st spray to a mist setting. Spray soil and leaves of the cutting. Thank you for posting this Perry! I was able to get the tuberosa to start rooting in water (like the curassavica) but did not have luck with the rest outdoors. First, my potting soil had fungus gnats, and then I switched to a soilless mix. I left out a couple of your steps including the scraping, using a powder root hormone, and spraying daily since we have been getting a fair amount of rain. Are you just using a regular, all-purpose potting soil? I am going to retry using your steps and will edit this article over the off-season. Thanks again for this helpful comment! How long after treating with the hormone can it be replanted in the ground? Hi Kristy, you place it in the growing medium right away…I successfully transplanted a couple of ours this spring after I saw new leaf growth. How long do you think cuttings have to be to work? (with growth hormone and soil). Thanks for all the info on your website! this is my first season rooting native cuttings so I will report more info as I get my results. The reason I am doing this is because there isn’t a lot of info available on native milkweed propagation. I’m hoping to change that so gardeners and monarch enthusiasts have more options to grow milkweed. Please keep me posted on your results too! I just purchased my first milk weed plant @ a nursery today but don’t know what kind it is, its about 3 ft. tall and blooming . I plan to take cuttings tomorrow and will do the potting soil & then the water also , this is my first time to plant milk weed. Hi Harry, what color are the flowers? Tropical milkweed is a non-native most commonly sold in nurseries. It has red and yellow blooms. 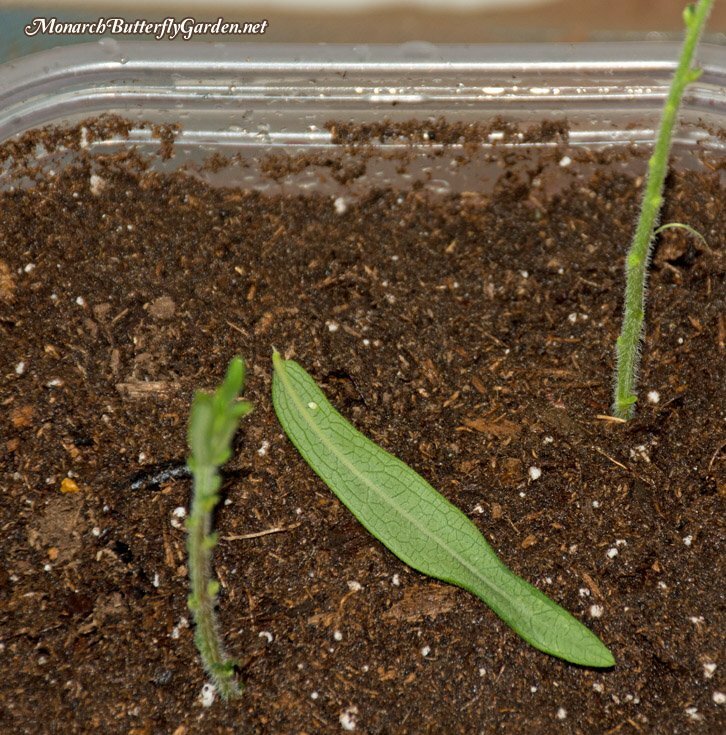 It is the easiest milkweed to start from cuttings. Starting our cuttings today from Ascelpias incarnata. We’re using potting mix and rooting hormone. We’ve raised and released over 15 Monarchs here in Minneapolis. 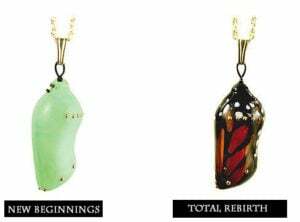 Still have 5 chrysalis and many caterpillars left to raise. Hi Byron and Jamison, our swamp looks good so far and I will post an update on this within the next month. I look forward to hearing about your cuttings too…good luck! Tony, I took some Incarnata cuttings because I was trying to train some new seedlings into branching out. I stuck the tops into a glass of water and placed it on my kitchen counter for a month. All the leaves fell off and they all looked dead or dying. I moved them outside to my hot, steamy but shaded potting bench intending to give them one last change and stick them in soil. But of course I forgot about them for another couple weeks. And now, lo and behold…4 or 5 out of six have rooted! Had some success with winter sowing but would love to get results from cuttings for fall planting! Can’t wait to see your results Tony, great information here. Thanks Bernice. Another good source for fall planting is late summer plants sales (local and online). I love fall planting because it puts your garden way ahead of schedule for next season. I have milkweed but not a monarch to be seen in my part of Atlanta. I definitely wish you all the best with the cuttings – but until I actually get some monarchs I will cheer you on from the sidelines. I will say I had some decent luck with winter sowing – I’ve got tuberosa blooming and healthy swamp (no blooms). Interestingly the tuberosa and swamp that I bought spring 2013 has not bloomed. The best performer here is the tropical which was direct sown and is going gangbusters. Anyway please send me some monarchs! Hi Meredith, when there are no monarchs around, it’s the perfect time to work in your garden without distraction! Creating a butterfly garden is a process, and once the butterflies finally find your garden they really do keep coming back! I have also had problems with tuberosa flowering before I moved it this season. It’s now growing in richer soil with compost amendment. And it’s flowering too. Mature butterfly weed can be moved in spring/fall (when it’s cooler) if you dig deep and get most of the tap root. Swamp milkweed doesn’t spread through rhizomes and is easier to transplant. Transplanting is an option IF their current spot is contributing to the growing issues. I promise to send lots of monarchs in 5-6 weeks! Oh Happy Day! It’s always the best feeling when you think a garden experiment fails, but later you discover it just needed more time. Congrats! Tony – saw my first Monarch today in Atlanta! Jim, sorry to hear this. I’m not sure if you have ever looked at my “How To start A Monarch Butterfly garden” post, but it goes over the basics to consider when starting your garden. Perhaps it could give you an idea of what the issue might be? I noticed that some small tropical milkweed plants I ordered in the mail came with some stems that bent down and must have touched soil nearby, because they were putting out roots. Has anyone tried to reproduce tropical milkweed by layering? it wouldn’t surprise me if this was possible, however tropical milkweed stems typically grow upright upright so you would have to force them down to the soil. Also, you would have to separate and space the plants out at some point. Yes! Keep posting. Sounds like it would be a great way to enlarge the milkweed, although I find it springs up in the most unexpected places! My rose garden is full of common milkweed and it was never there before! personally I would not do this for common milkweed, since it does spread so easily on its own. However, since this is a native-only experiment, I just had to include it! Why would you not welcome “up shoots”? When digging up smaller plants to move be sure to get the tap root.